Soy candles are all the rage right now. 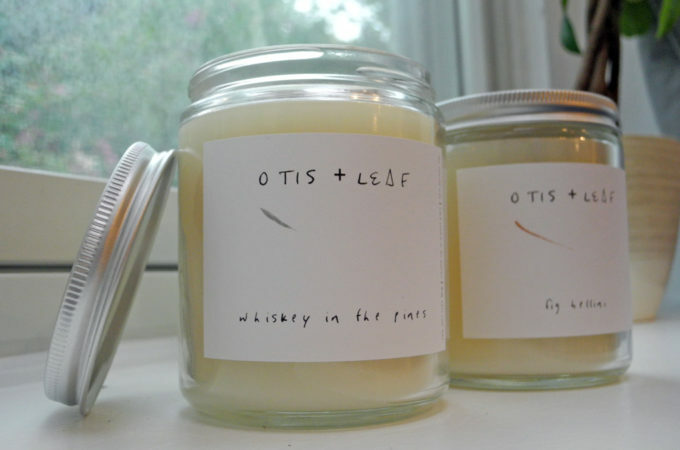 They’re clean burning, non-toxic, and last longer than candles made from other materials. 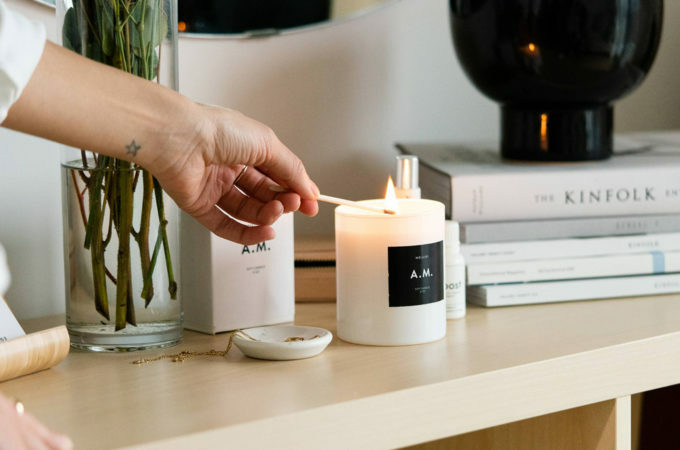 Additionally, while they don’t always hold scent well, they are especially good at holding onto the scent from essential oils, which also just happen to be non-toxic and even good for your body and mind. 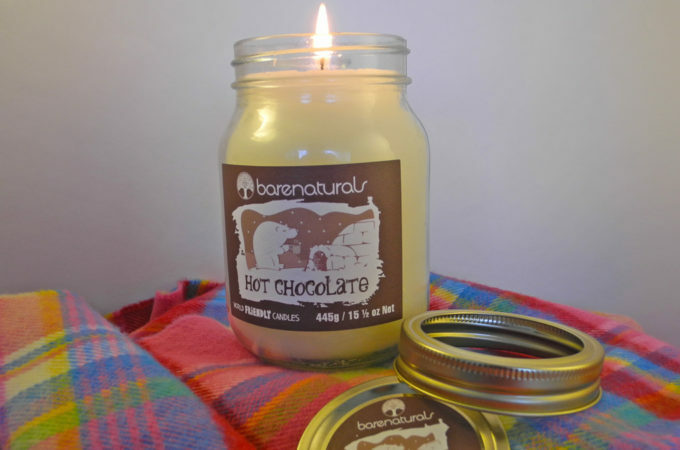 One thing you need to be careful about, however, is whether a soy candle really is made out of soy. 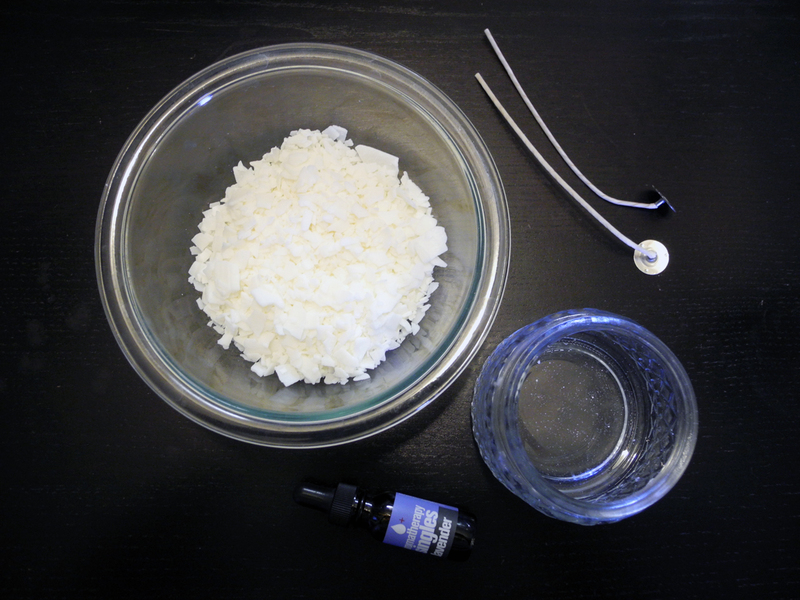 Many soy candlemakers mix types of wax. 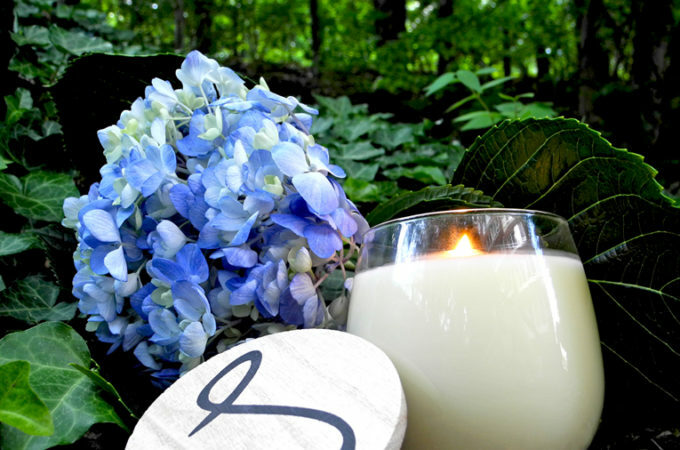 As long as a candle is at least 50% soy the manufacturer can call it a soy candle—which is why I always note in my candle reviews if a soy candle is 100% soy or not! One good way to know if your candle is 100% is to make it yourself. 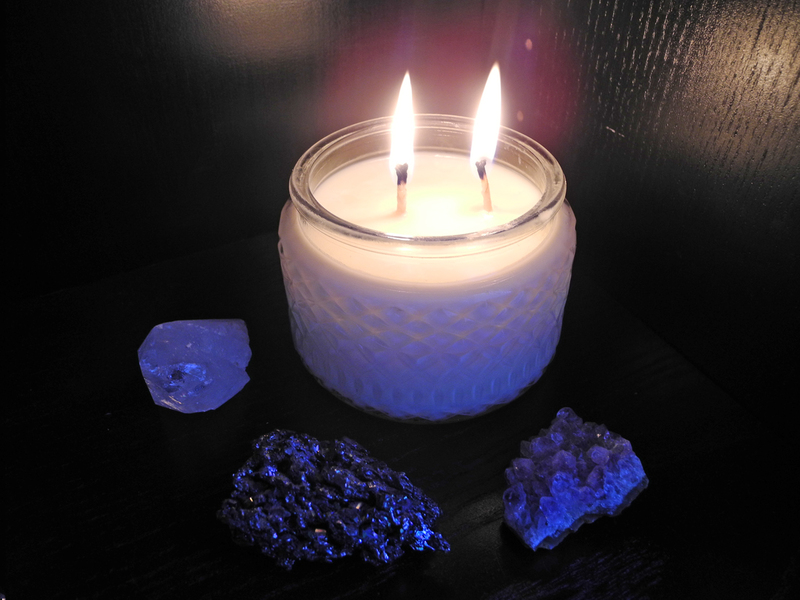 You’ll need a candle votive, soy wax flakes, essential oil (I used lavender), and cotton candle wicks. An optional material is glue tabs, which you can stick to the bottom of wicks to keep them in place (though I usually go without and don’t have an issue.) 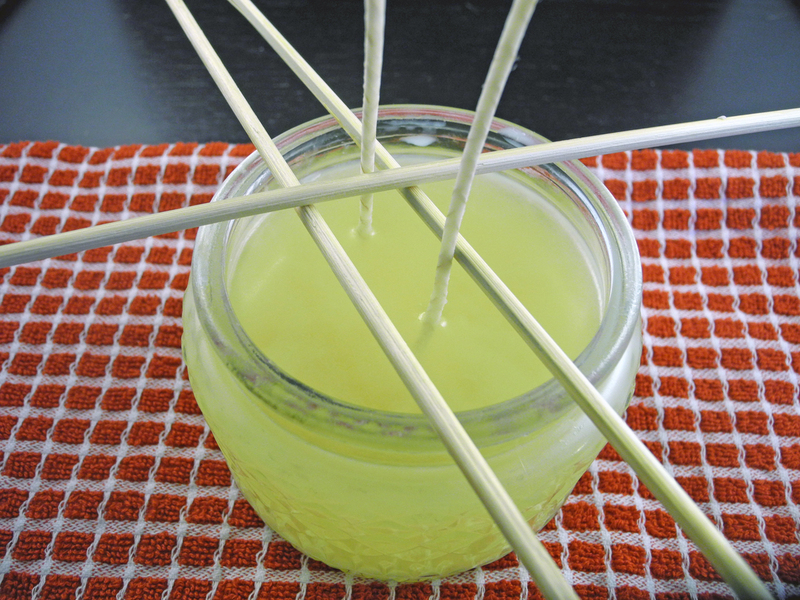 You may also want to have a wooden stick for stirring—I used bamboo skewers, the kind for kebabs. This is also an eco-friendly tutorial! I took the old votive from my used up Gold Canyon Candle and reused it. 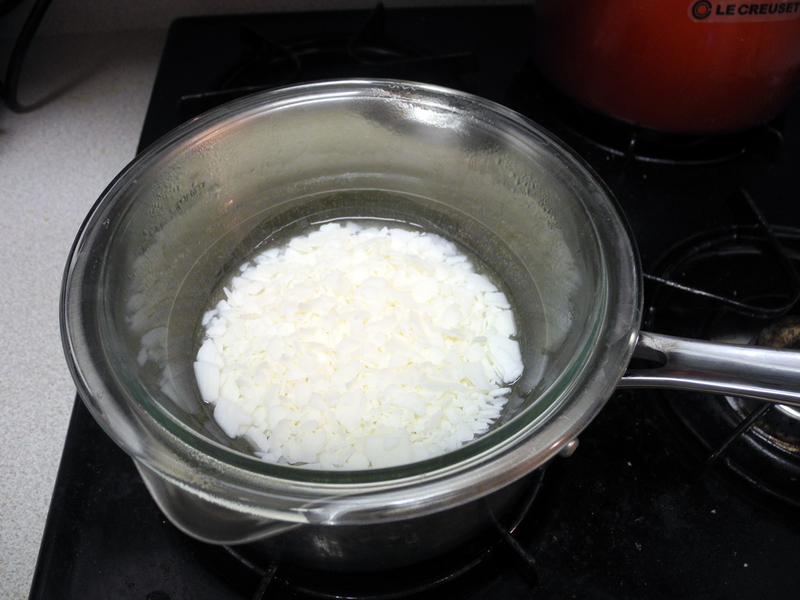 To measure the amount of wax I would need, I filled my votive with soy wax flakes, emptied them into a bowl, and repeated a second time. 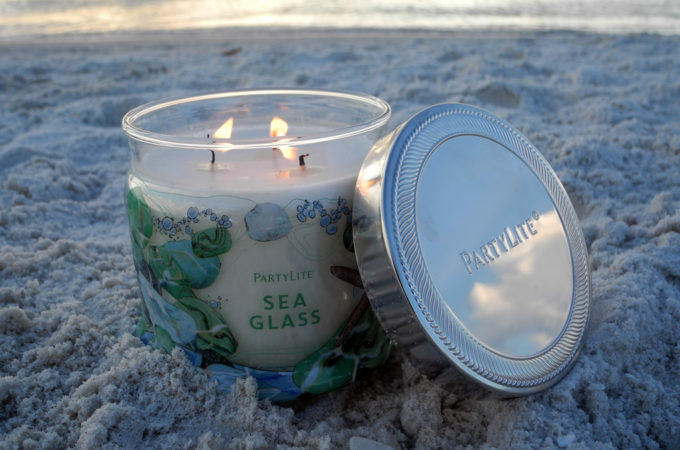 Twice the amount of soy wax flakes that fit in the votive is the amount you will need for a candle. Pour two cups of water into a kitchen pot. Put your bowl (I used Pyrex) in the pot, and set the water to boil. DO NOT boil the water first and then put the bowl in after—the quick temperature change could crack your bowl! Instead, let the heat build gradually. 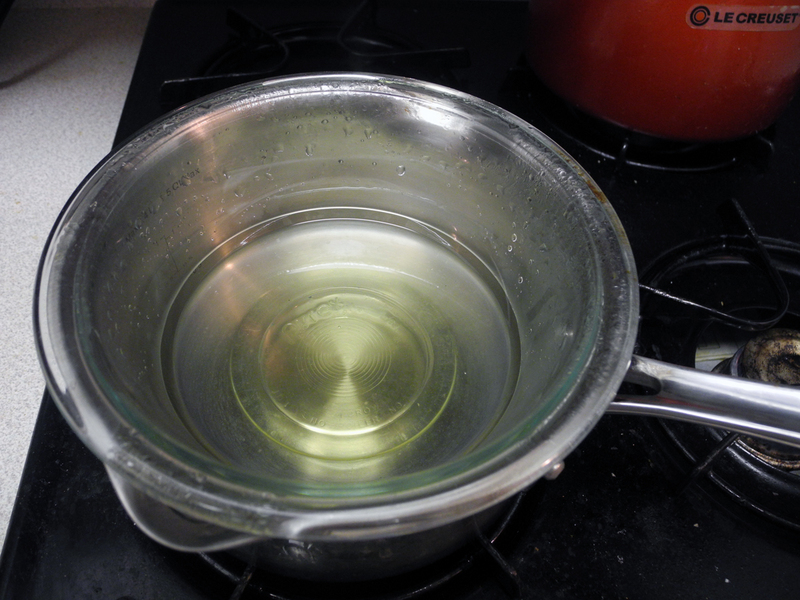 Once the water boiled, I set the stovetop heat to low and simmered it until my wax fully melted. Stirring the wax with a wooden kebab stick also helped it to melt more quickly. When the wax is melted, don’t do anything yet. Allow it to cool for 3-5 minutes. This is because wax at a lower temperature holds scent better. After five minutes, you can add the essential oil. 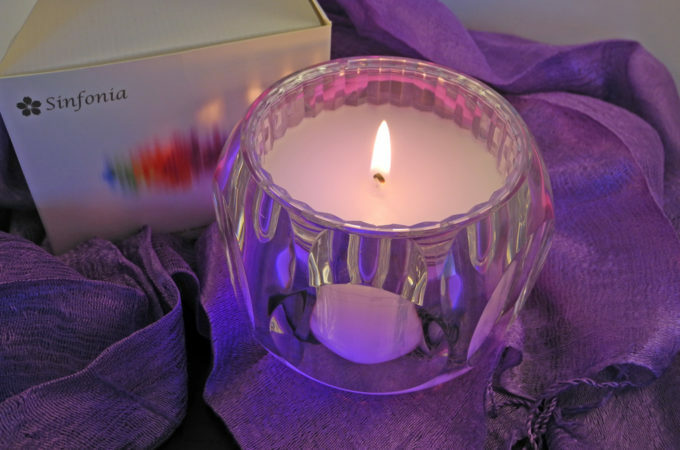 I used 50 drops of lavender for this two-wick candle votive. 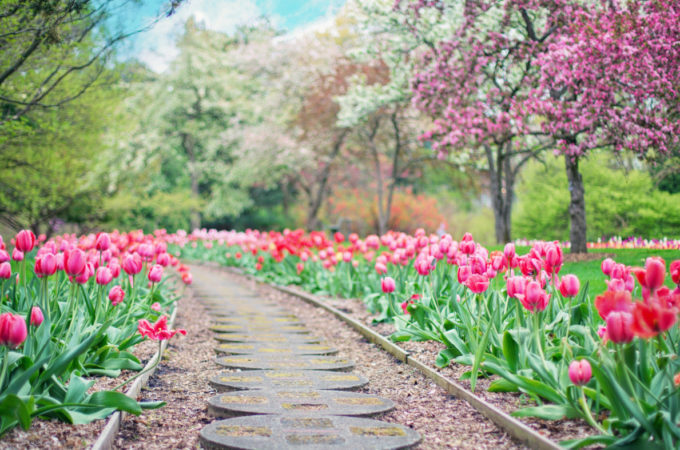 A good rule of thumb is 20 drops of essential oil per milliliter of soy wax. 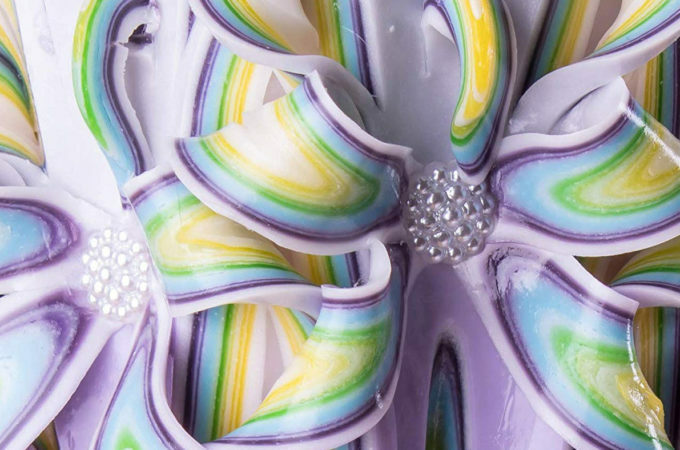 You’ll know you used too much if the wax “sweats” when you burn the finished candle—beads of oil will appear on top of the wax. It’s harmless but good to note for next time. 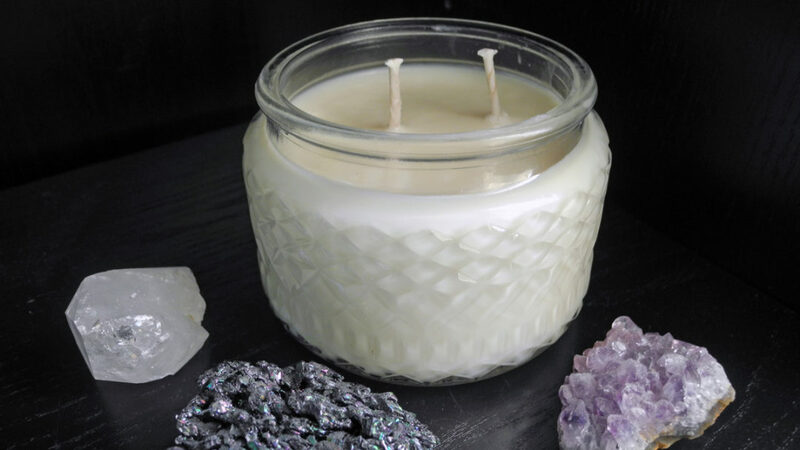 When extremely hot soy wax is poured into a cold glass votive, it can do unattractive things to your finished candle. It might create air bubbles between the votive and the candle. Or it might “frost,” creating discolored crystals on top of the wax. Since both of these problems are caused by a dramatic change in temperature, make sure your wax has cooled down for at least a few minutes and that your votive is warm. I rubbed the outside of my candle votive with a warm, damp cloth before pouring. After that, drop in your wicks. I used two wicks, and I put a dab of wax underneath each to place them. This is where you’d use glue tabs, if you have them! The wax dabs don’t help much once the rest of the wax is poured into the votive. Pour the wax into your votive. It will need 24 hours to fully cool. During that time, I used wooden kebab sticks to keep my wicks upright and centered where I wanted them to be. 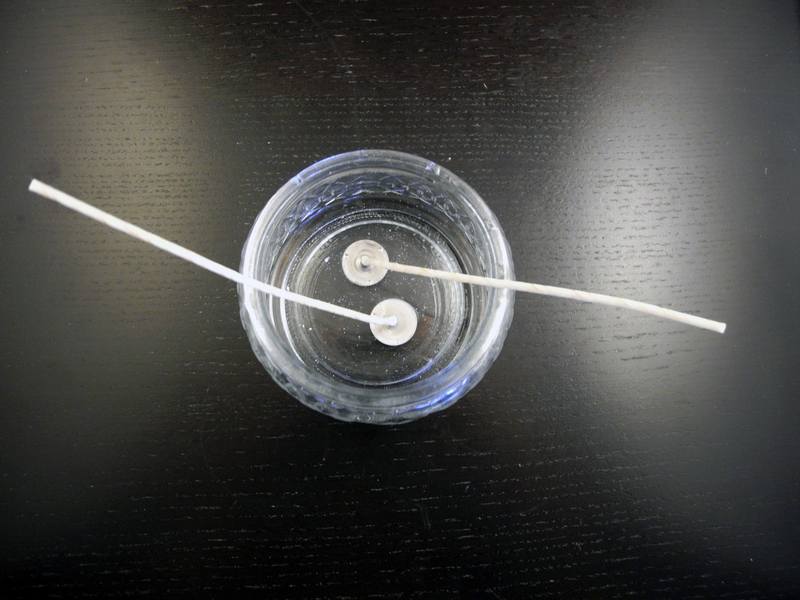 As the wax got cooler, I found it easier to move the sticks closer together and get my wicks straighter. After 24 hours, trim the wicks down to size. Now you’re ready to enjoy your candle! 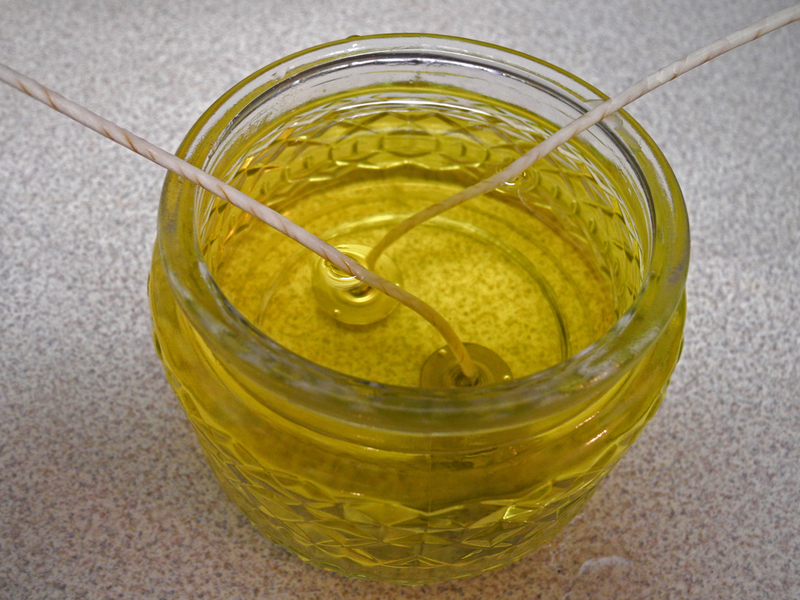 Light it and relish in a completely non-toxic candle you made by yourself. Thanks so much for reading my tutorial! I hope you have a wonderful time making soy candles at home.